We finaly arrived in Bolivia and brought the snow with us! Roads were closed and people painted their eyes black to protect them from the blinding white reflections. All was melted in a few hours. 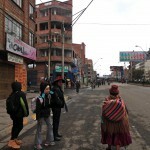 Then the roads in El Alto were closed again preparation for he Pope’s visit there on Wednesday. 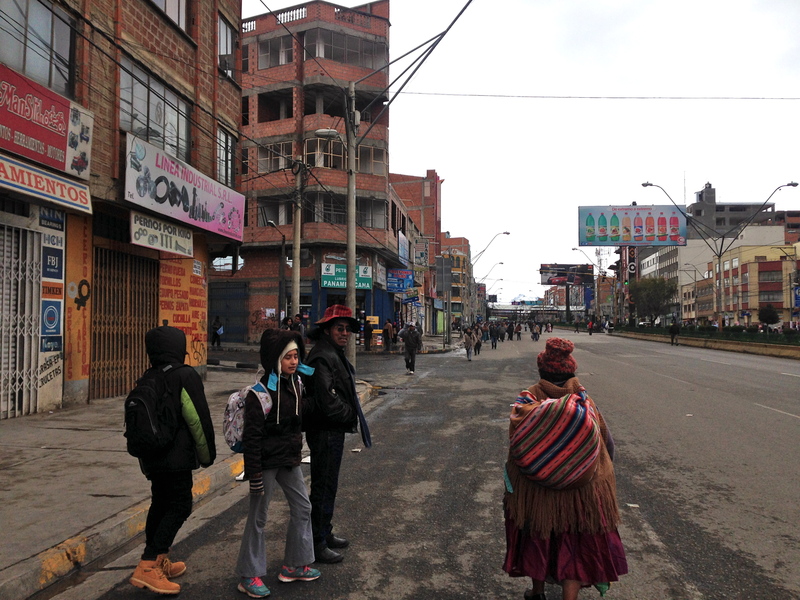 The Ceja in El Alto was empty as the city began preparing for the Pope’s visit on Wednesday. How surreal to see the busy, bustling city of El Alto so quiet and empty. We then went on to Oruro and visited with my children’s Aunt, eating quinoa cookies made in Bolivia but purchased from my US Food Co-op. 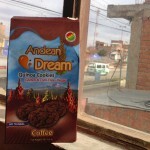 I will try to visit the plant that made the cookies while here in Bolivia. 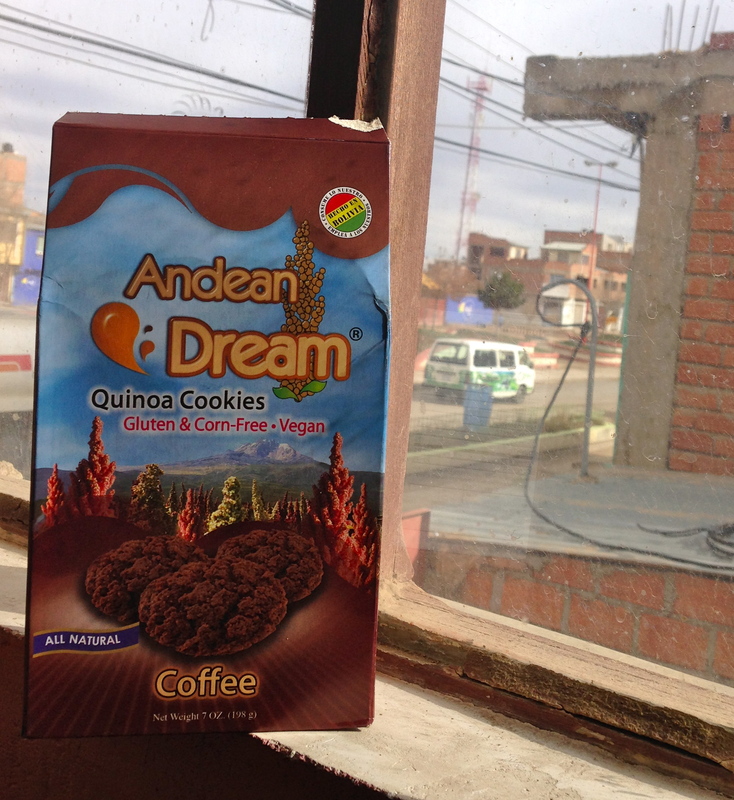 Next post: following the quinoa value chain to the US wholesaler who buys direct from Bolivia.